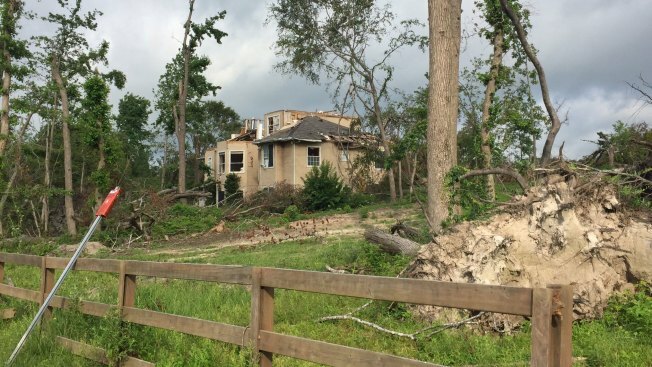 Van Zandt County is looking for help in assisting those affected by tornadoes that swept through the area at the end of April. Shawn Stewart, vice chairman of the Van Zandt County Long Term Recovery Group, said one of the biggest things they need help with is specialized labor. He said they are looking for people who can repair fences, remove debris, and provide heavy equipment like bulldozers and dump trucks. Another areas they need help in is housing. They're looking for mobile homes that could be donated or sold at a reduced price for a temporary basis. The recovery group has raised a total of about $465,000, and they are still looking for anyone affected by the tornadoes that need financial assistance. "This money is donated for them. The funds are there for them, and we don't want any of our citizens in Van Zandt to have their needs unmet," said Stewart. Donations can be made to First State Bank of Ben Wheeler. There is a special account set up under VZ County Tornado 2017. If you would like to help with specialized labor, call 903-502-0151. For tornado victims looking for assistance, call 972-246-6011.